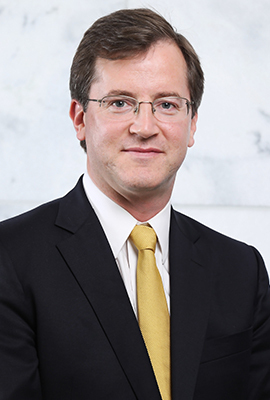 Christopher Bruner, the holder of the Stembler Family Distinguished Professorship in Business Law, joined the faculty of the University of Georgia School of Law in 2017. He teaches a range of corporate and transactional subjects – including Corporations, Corporate Finance, Deals and Comparative Corporate Law – and in 2019 he received the C. Ronald Ellington Award for Excellence in Teaching. Bruner’s scholarship focuses on corporate, securities and financial law, including international and comparative dimensions of these fields. His first book, Corporate Governance in the Common-Law World: The Political Foundations of Shareholder Power (Cambridge University Press, 2013), has been called “a revelation” and “a work of monumental significance and scholarly craft” and has been translated into Chinese (Cambridge University Press & Law Press China, 2016). His second book, Re-Imagining Offshore Finance: Market-Dominant Small Jurisdictions in a Globalizing Financial World (Oxford University Press, 2016), has been called “required reading for both consumers and producers of knowledge concerning the regulation of global financial transactions.” His comparative study of U.S. and U.K. corporate governance titled “Power and Purpose in the ‘Anglo-American’ Corporation” won the 2010 Association of American Law Schools Scholarly Papers Prize, and his articles have appeared in a number of highly regarded law and policy journals. He has served as a member of the executive committee for the Association of American Law Schools Section on Business Associations, and he presently serves as co-editor (with M. Moore) of the Hart Publishing/Bloomsbury Professional book series Contemporary Studies in Corporate Law. Bruner’s current work includes co-editing (with B. Sjåfjell) the forthcoming Cambridge Handbook of Corporate Law, Corporate Governance and Sustainability. A globally recognized corporate scholar, Bruner has presented his work in Australia, China (Mainland), Denmark, Hong Kong SAR, Mexico, Norway, Russia, Singapore, Switzerland, the United Kingdom and the United States. He has been a visitor to the law faculties of the University of Cambridge, the University of Hong Kong, the University of Leeds, the University of Sydney, the University of Toronto, the National University of Singapore and the Southwest University of Political Science and Law (Chongqing, China). He has twice traveled to the Russian Federation at the invitation of the U.S.-Russia Foundation for Economic Advancement and the Rule of Law to participate in discussions with commercial court judges and economic ministry officials regarding Russian corporate law reform. Prior to his arrival at the School of Law, Bruner was the Bain Family Professor of Corporate Law at Washington and Lee University School of Law, where he also served as director of the Frances Lewis Law Center – W&L Law’s faculty research and support arm – and twice received the Ethan Allen Faculty Fellowship for scholarly excellence. From 2006 to 2009, he was an assistant professor at Texas Tech University School of Law, where he received the Mahon Research Fellowship and the Texas Tech Alumni Association New Faculty Award. From 2005 to 2006, he was a visiting assistant professor at the Boston University School of Law. Prior to entering academia, Bruner practiced with Ropes & Gray in Boston, where he worked with public and closely held companies on a range of corporate, transactional and securities matters. He received his A.B., M.Phil. and J.D. from the University of Michigan, the University of Oxford and Harvard Law School, respectively. Re-Imagining Offshore Finance: Market-Dominant Small Jurisdictions in a Globalizing Financial World (Oxford University Press, 2016). Corporate Governance in the Common-Law World: The Political Foundations of Shareholder Power (Cambridge University Press, 2013; paperback ed. 2014). Chinese edition: Lin Shaowei trans., Cambridge University Press & Law Press China (2016). Reviewed in David A. Skeel, Jr., Corporate Governance and Social Welfare in the Common-Law World, 92 Tex. L. Rev. 973 (2014); Book Club on “Corporate Governance in the Common-Law World,” PRAWFSBLAWG (May 13-14, 2014), http://prawfsblawg.blogs.com/prawfsblawg/2014/05/wrap-up-for-book-club-on-corporate-governance-in-the-common-law-world.html (reviews by Matthew Bodie, John Cioffi, Andrew Gold, Joan Heminway, Brett McDonnell, and Daniel Sokol); Marc Moore, Book Review, 74 Cambridge L.J. 370 (2015); Anita Anand & William Muir, Book Review, 25 Bus. Ethics Q. 143 (2015); Stephen Bloomfield, Book Review, 26 Int’l Company & Com. L. Rev. 307 (2015). How Small Jurisdictions Compete in International Financial Services, in Integration and International Dispute Resolution In Small States (Petra Butler & Caroline Morris eds., Springer, 2018) (revised keynote address, solicited contribution). Opting Out of Fiduciary Duties and Liabilities in U.S. and U.K. Business Entities, in Research Handbook on Fiduciary Law (Gordon Smith & Andrew Gold eds., Edward Elgar, 2018) (solicited contribution). The Corporation’s Intrinsic Attributes, in Understanding the Company: Corporate Governance and Theory (Barnali Choudhury & Martin Petrin eds., Cambridge University Press, 2017) (solicited contribution). UNESCO, the WTO, and Trade in Cultural Products, in Essays on the Future of the World Trade Organization, vol. 1, 385 (Julien Chaisse & Tiziano Balmelli eds., Editions Interuniversitaires Suisses, 2008) (solicited contribution). Corporate Governance Reform in Post-Crisis Financial Firms: Two Fundamental Tensions, 60 Ariz. L. Rev. 959 (2018). Center-Left Politics and Corporate Governance: What Is the “Progressive” Agenda?, 2018 BYU L. Rev. 267 (2018). Is the Corporate Director’s Duty of Care a “Fiduciary” Duty? Does It Matter?, 48 Wake Forest L. Rev. 1027 (2013). Conceptions of Corporate Purpose in Post-Crisis Financial Firms, 36 Seattle U. L. Rev. 527 (2013) (symposium). Managing Corporate Federalism: The Least-Bad Approach to the Shareholder Bylaw Debate, 36 Del. J. Corp. L. 1 (2011). Corporate Governance Reform in a Time of Crisis, 36 J. Corp. L. 309 (2011). Power and Purpose in the “Anglo-American” Corporation, 50 Va. J. Int’l L. 579 (2010) (AALS Scholarly Papers Prize, 2010. Reprinted in 53 Corp. Prac. Commentator 353 (2011–2012). Excerpted in J. Robert Brown, Jr. & Lisa L. Casey, Corporate Governance: Cases And Materials 734 (LexisNexis 2012)). States, Markets, and Gatekeepers: Public-Private Regulatory Regimes in an Era of Economic Globalization, 30 Mich. J. Int’l L. 125 (2008). The Enduring Ambivalence of Corporate Law, 59 Ala. L. Rev. 1385 (2008). Culture, Sovereignty, and Hollywood: UNESCO and the Future of Trade in Cultural Products, 40 N.Y.U. J. Int’l L. & Pol. 351 (2008). Good Faith, State of Mind, and the Outer Boundaries of Director Liability in Corporate Law, 41 Wake Forest L. Rev. 1131 (2006). (Cited in In re The Walt Disney Company Derivative Litigation, 906 A.2d 27 (Del. 2006)). To Judge Leviathan: Sovereign Credit Ratings, National Law, and the World Economy, 25 J. Pub. Pol’y 191 (2005) (peer reviewed) (with Rawi Abdelal) (Reprinted in Richard Rose, The Journal of Public Policy in Perspective, 31 J. Pub. Pol’y 235 (2011)). Hemispheric Integration and the Politics of Regionalism: The Free Trade Area of the Americas (FTAA), 33 U. Miami Inter-Am. L. Rev. 1 (2002). The Fiduciary Enterprise of Corporate Law, 74 Wash. & Lee L. Rev. 791 (2017) (symposium). Corporate Governance Theory and Review of Board Decisions, 62 UCLA L. Rev. Discourse 87 (2014) (symposium). Book Review, 72 Cambridge L.J. 764 (2013) (reviewing Directors’ Duties and Shareholder Litigation in the Wake of the Financial Crisis (Joan Loughrey ed., 2013)). Agency and the Ontology of the Corporation, 69 Wash. & Lee L. Rev. 355 (2012) (comment on student note). The Changing Face of Money, 30 Rev. Banking & Fin. L. 383 (2010–2011). Good Faith in Revlon-Land, 55 N.Y.L. Sch. L. Rev. 581 (2010/11) (symposium). Shareholder Bylaws and the Delaware Corporation, 11 Transactions 67 (2009) (panel discussion, Southeastern Association of Law Schools Annual Meeting). Para-Images: The Shapes of Identity in The Grass is Singing, 19 Doris Lessing Newsl. 3 (1998) (now Doris Lessing Stud. ).